Sarbanes-Oxley - SOX - Technical Writing Writing Assistance, Inc. The Sarbanes-Oxley Act of 2002 – Does It Matter? 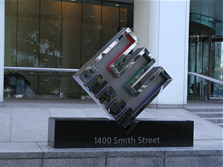 Enron – just the sight of that word makes people cringe. But what does this have to do with technical writing? More than you might realize. Because of fewer rules about documentation, Enron and other companies were able to pull off many financial tricks, allowing the higher ups to make money, while the investors were left with nothing. That’s where the Sarbanes-Oxley Act of 2002, and more specifically Section 404 become important to those who are writing documents. “Publicly traded companies must establish, document, and maintain internal controls and procedures for financial reporting. It also requires companies to check the effectiveness of internal controls and procedures for financial reporting. Document existing controls and procedures that relate to financial reporting. If there are any gaps in documentation, that’s where a technical writer will step in and close the gaps with more information, changes to previously submitted information, etc. Imagine what life would be like now if the Enron documentation had been in order. Imagine what might have been caught before it got out of hand. Has enactment of Sarbanes-Oxley (SOX) affected you as a technical writer? If so, how? We’d love to hear from you. Please leave a comment.